I've got a 70s re-issue on the Warick label bought mail order from Funhouse Records back in the mid eighties. The album has been re-issued/bootlegged many times since on labels like Eva and Arf Arf. I recently read that Sundazed were gonna re-issue 'Distortions' on vinyl and no doubt if it ever gets a release I'll be first in line to buy another copy. In the mid 60s members of two Twin Cities rock bands merged and became The Litter. From The Tabs came the guitars of Dan Rinaldi and Bill Strandlof. 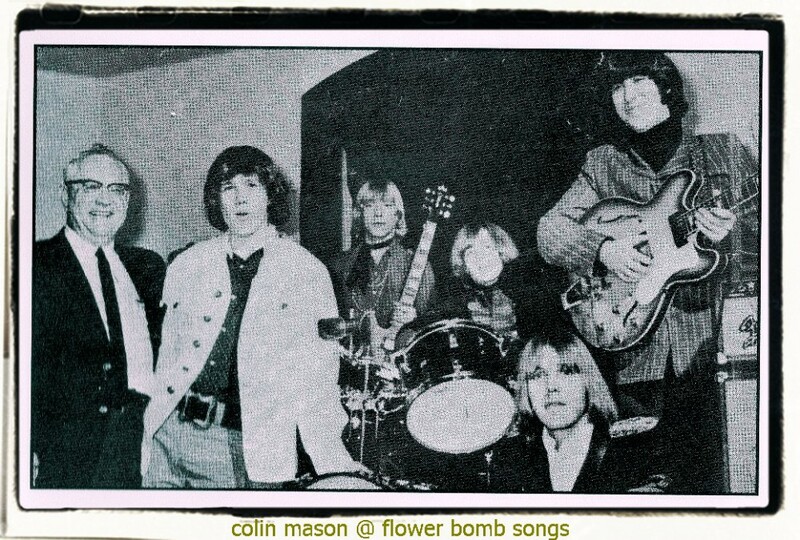 They were joined by two departing members of The Victors, keyboard/vocalist Denny Waite and bass player Jim Kane. While attending a local teen band contest at the Minnesota State Fair they met drummer Tom Murray and The Litter was born. What set The Litter apart from the other local groups at the time was their focus on album cuts and obscure material by the 'British Invasion' groups (The Yardbirds, Small Faces, The Who). While playing around the Twin Cities they came to the attention of producer/songwriter Warren Kendrick who took the group into his studio in late 1966 and recorded their first three songs. Two of them, 'Action Woman' and 'Soul Searchin', were originals written by Kendrick. The third, 'A Legal Matter' was a cover of a Who song. 'Action Woman'/'A Legal Matter' were chosen for the single and released in 1967 on the Scotty label. The 45 got excellent reaction in the Twin Cities. Around this time St. Paul native Tom 'Zip' Caplan had returned from a year long stint in Los Angeles where he was doing studio work and cutting demos with songwriter Larry Loofbourrow. Caplan knew bassist Kane from earlier days when 'Zip' played guitar with local favourites The Escapades, Froggy & His Friends and The Accents. Shortly after a gig at St. Paul's Prom Ballroom, Bill Strandlof left The Litter and 'Zip' Caplan was asked to join the band as lead guitarist, solidifying the line-up. By then the 'Action Woman' single had broken out of the Twin Cities and was getting airplay throughout the Midwest. This led to bookings at a couple of clubs in Chicago's Old Town district. Their live performances were very well received and led to many more appearances and a large following in the Windy City. Their next logical step was to cut an album. The group utilized both Dove Recording Studios and Warren Kendrick's Lake Street Studio as they began work on the songs and sounds that would eventually become 'Distortions'. Three tunes 'Action Woman'. 'A Legal Matter' and 'Soul Searchin' were already in the can. 'Somebody Help Me' (Spencer Davis Group). 'Whatcha Gonna Do About It' (Small Faces) and 'Rack My Mind' (The Yardbirds) were songs that had gotten great reaction live, so studio version were recorded. 'Codine' was a Buffy St. Marie song the group had been playing for some time, so it was included as the album's one slow number. The group learned 'I'm So Glad' from Cream after sharing the bill with them at the New City Opera House in Minneapolis. A cover of The Who's 'Substitute' was paired as a medley with a 'Zip' Caplan original called 'The Mummy' (inspired by the Boris Karloff movie). They had been closing their gigs with a chaotic version of The Yardbirds 'I'm A Man'. That song was therefore chosen to close the album. 'Distortions' was released on the Warick label in 1967 to exceptional response. As momentum built, a second single 'Somebody To Love'/'I'm A Man' was also released on Warick. Touring escalated to a national level and included venues like The Peppermint Lounge in New York, The Cheetah in Los Angeles and everywhere in between. Extremely solid LP, not a dud to be found, after umpteen million plays it's still one of my favorites too! Their version of "Somebody Help Me" blows the original out of the water.